In this middle grade novel by Derrick Barnes (Ruby & the Booker Boys), two thirteen- year-old African-American boys become friends during a three-day stint in an after-school suspension. They were both involved in two unrelated incidents with the same person, the resident menace at Alain Locke Middle, Tariq Molten. Robeson Battlefield is from a two-parent household, where both parents are highly successful and educated. Academic achievement, social consciousness and responsibility are reinforced daily in the Battlefield household. Pacino Clapton comes from a single parent household; his mom works two fulltime jobs. Pacino has a ton of responsibilities, including cutting hair to help pay bills, and taking care of his twin five- year-old sisters. During this three-day span, the young men visit each other's home, and chop it up on a multitude of subjects including respect of self and Black women, the dire state of hip-hop music, the use of the dreaded N word, and masculinity. Before long, the three boys are on a collision course. And when they do intersect, their lives are changed forever. 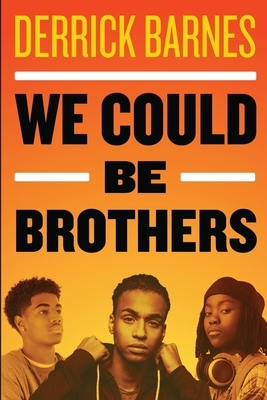 We Could Brothers addresses the presence and lack of positive male leadership in the home, and how it dictates the way young African American men view themselves, each other, and the world around them. Mentorship, brotherhood, and an emphasis on that old adage each-one-teach-one; are very real and tangible themes in this middle grade literary masterpiece.